Wine Blends–Scary, Crap, or Excellent? Well, there certainly are a lot of so-so wine blends on the market, but keep in mind that some of the world’s greatest wines are blends. I’m not sure Chateau Petrus would appreciate being told their Pomerol from the Right Bank of Bourdeaux is crap, nor would the wine connoisseur who shells out $100s of dollars for a fine bottle of that blend of merlot and cabernet franc. Likewise for their Bourdeaux Left Bank cousins who masterly blend cabernet sauvignon, merlot, & cabernet franc to produce the great wines of Médoc and Pauillac. Southern Rhone wines are perhaps the greatest examples of fine blended wines with the great Châteauneuf-du-Pape wines made from a blend of up to 13 different grape varietals! I’m all for single varietal wines as long as the wine is deserving of that honor. For our 2013 Chardonnay Southeastern New England, I was personally astounded that a Massachusetts-grown wine could be that good, so I wanted to share that with the world. 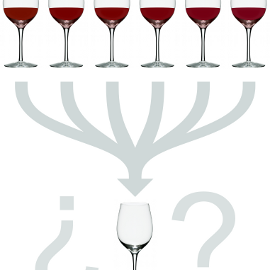 For other wines, single variety status just isn’t there. For instance, petite sirah often has intense fruit and power upfront, but the flavor and aroma can simply disappear on the palate, leaving mouth-puckering tannins. That’s not a fault, but simply an inherent characteristic of the grape. Blending is a perfect way to address those limitations and create a much better wine. For our 2012 PS Project, I blended petite sirah with cabernet sauvignon to add balance and lingering flavor to the finish. Blending also allows me to craft wines with unique flavor profiles. Blending opens up entirely new combinations of aromas and flavors. The sky is literally the limit! Think of it as similar to craft beer makers who throw entire arsenals of hops, spices, different grains, and fruits together to make unique flavor combinations! That’s where Carm-ah was born. Quite literally a spur-of-the-moment blend that I discovered during my amateur winemaking days when I had a barrel that needed to be filled, but not enough of a single varietal wine to fill it. I did have just enough of some carmenere and some syrah to fill the barrel….so I did a quick blend. 6-8 months later, I tasted the wine and was amazed at how good it tasted. Right there, I decided that would be a signature blend for my commercial winery. A unique wine for a unique & innovative winery! So don’t be afraid of wine blends with odd names. Search out those blends and discover entirely new worlds of flavor and aroma! We’ve got several to try! 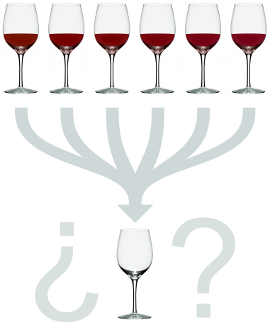 This is an interesting account of the thinking behind making blended wines. I was unaware that they needed defending. Forest Gold Mustard Glazed Salmon Harvest is coming….